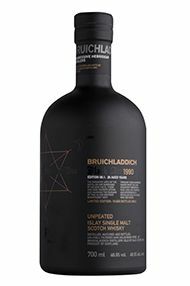 Bruichladdich was built in 1881 by the Harvey Brothers and sits on Islay’s wild, west Atlantic coast. With a chequered past involving several corporate mergers it was eventually closed in 1994 as it was found to be “surplus to requirements”. 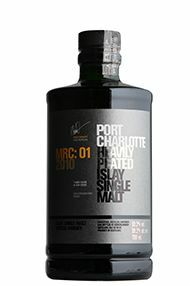 Resurrected in 2000 by Mark Reynier, Simon Coughlin and Jim McEwan it was voted Distillery of the Year, 3 times and became known for challenging convention. 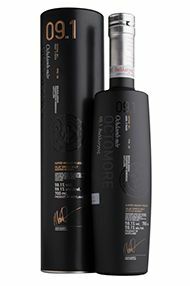 Producing different peating levels, a commitment to 100% Scottish Barley and an innovative cask management programme, it is always non chill flitered, coloring free, and bottled on Islay using Islay Spring water. 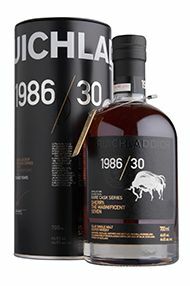 Bruichladdich produces 3 styles – Unpeated Bruichladdich, Heavily Peated Port Charlotte and Super Heavily Peated Octomore – all using the original 1881 Victorian equipment. 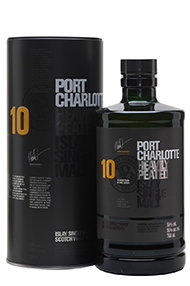 It was purchased in August 2012 by the Remy Cointreau group but continues to push the boundaries and in 2010 Bruichladdich launched The Botanist Gin. 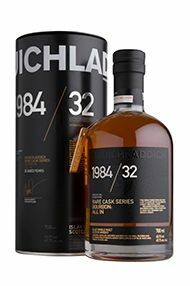 Created by Master Distiller Jim McEwan, using 22 hand picked Islay Botanicals and distilled in one of the last remaining Lomond Stills, it has received widespread critical acclaim. 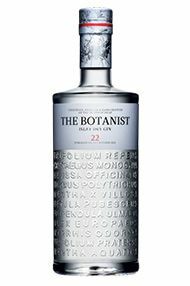 The Botanist is a gin of layered complexity, representing a progressive exploration of the botanical heritage of the isle of islay. Nine classic gin botanicals are augmented by 22 local herbs and flowers, foraged responsibly and by hand from the hills, shores and bogs of this fertile Hebrides island by a team of botanical scientists. The aromas explode from the glass. Sweet delicate menthol, apple mint, spring woodlands, juniper, coriander with aniseed undertones, lemon and orange peel, a bouquet of summer flowers on the machir, honey from thistle, coconut from gorse, wild mint and summer meadows. 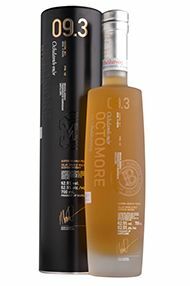 On the palate it’s a magical melody of islay’s natural bounty from the atlantic washed beaches to the summit of heather covered hills. 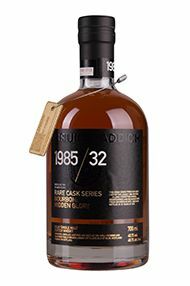 Cool on entry then as it reaches the back palate you can feel the warmth and absolute purity of slow unhurried distillation. This is a bewitching, delectable and luxurious gin; its citrus freshness excites and stimulates the taste buds. Pale, fragile and lacy. A very discreet nose with whiffs of the mill room and then daffodils. Cool light and very subtle but with real sweetness behind. 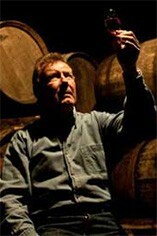 Very pure and with more intensity than the nose suggests. Creamy texture. 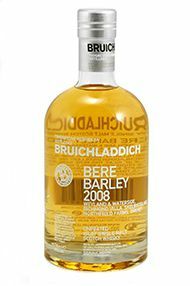 Gentle pear like fruits and again water helps to spread the flavours over the palate. Lovely texture. 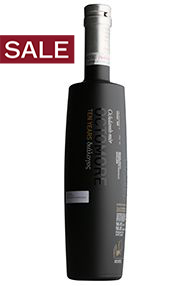 Discreet, subtle and pure with great balance for one so young - and marked accordingly. 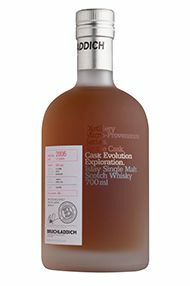 Dave Broom - Whisky Magazine Issue 105 This single malt Scotch whisky has been crafted by master distiller Jim McEwan from individually selected casks to showcase the classic, floral and elegant bruichladdich house style. 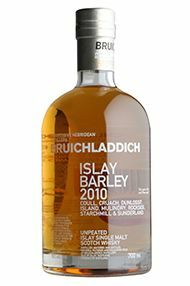 Unpeated, it is the signature bottling and the definitive Bruichladdich. 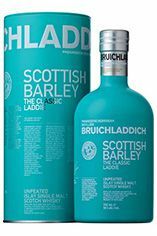 Made from 100% Scottish barley, trickle distilled, then matured for its entire life by the shores of Lochindaal in premium American oak, it is a testament to the quality ingredients.